The Ricky Gervais Guide To... THE ARTS. The third in a new series of authoritative analyses dealing with all aspects of humanity's achievements. Join Ricky Gervais and Steve Merchant and Karl Pilkington as they bring enlightenment to THE ARTS in their usual unenlightened manner. love this show. 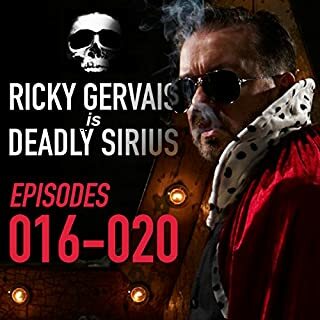 Anytime Ricky gets Carl involved it is a laugh. Secretly the most brilliant comedian out there. I like David Mitchell. I like David Mitchell. I like David Mitchell. I like David Mitchell. I like David Mitchell. I like David Mitchell. I like David Mitchell. I like David Mitchell. I like David Mitchell. I like David Mitchell. I like David Mitchell. I like David Mitchell. I like David Mitchell. I like David Mitchell. I like David Mitchell. I like David Mitchell. 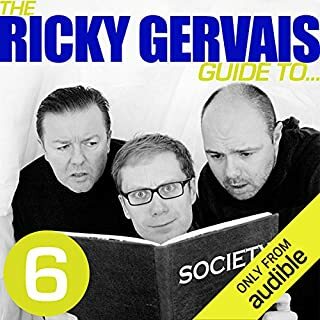 The Gervais / Pilkington books are among the funniest things I've ever heard. If you've never heard one then start now. You'll love it. Like having three old mates over to chat about nothing at all.